On a bike tour in Portugal with Live Love Ride you get to discover the country in a unique way. Discover the country on our Portugal Bike Tours. 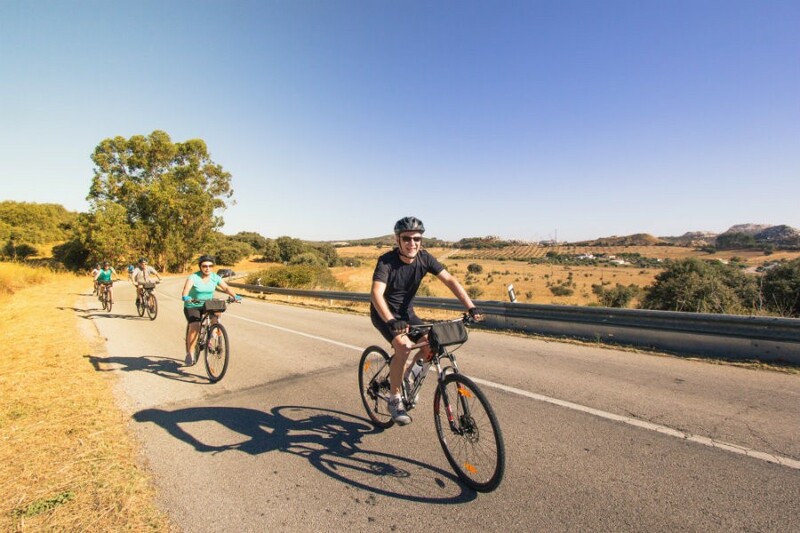 On our bike tours in Portugal, you will be accompanied by experienced local riders and guides and get to know the country's rich culture and historic background, taste the local gastronomy and wines and relax at charming hotels. Enjoy these amazing Portugal Bike Tours with Live Love Ride. We operate with handpicked hotels, restaurants and experiences. We choose only the best accomodation and meals and to make sure you experience the best on our Portugal cycling holidays. Our team is composed of dedicated portuguese guides and riders. We make sure your cycling holidays in Portugal run smoothly and exceed your expectations. On our Portugal bike tours, you'll be riding on Scott bikes ( carbon framed Addict, for the road, the full-suspension Spark for the trails or Scott Aspect for recreational and hybrid bike tours). We also operate with Garmin GPS's, Scott helmets, ZIPVIT nutrition to make sure you have a great bike tour in Portugal. All our cycling holidays in Portugal are adapted to your riding skills and experience. From recreational to active or expert riders, we customize each tour according to your pace to make sure you have a great experience cycling Portugal. Choose between Premium, Guided or Self-guided Portugal bike tours in several regions across the country. Choose from our available Portugal bike tours all over the country, that you can join, or book in different dates according to your needs. You can also choose to costumize your own Portugal cycling holidays- contact us for more information! Road cycling enthusiasts will find smooth, car-free roads and challenges for all kinds of riders! 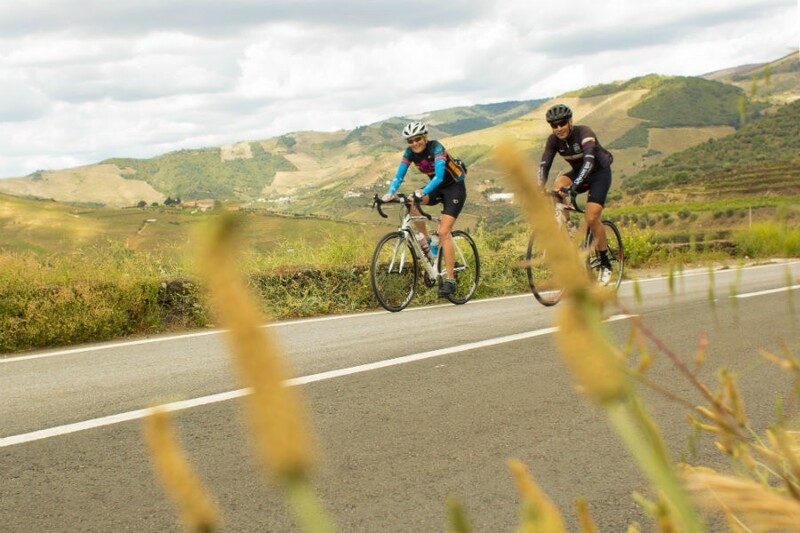 Climb the best viewpoints in Douro wine country, tackle the roling hills of Alentejo, join the best road cycling events in the country or simply ride to the nest cafe, winery or charming hotel, enjoying the perfect weather and beautiful landscapes in the country. Join a mountain bike tour, discovering the country's macadam trails and single tracks. Cross country from Porto to Santiago de Compostela, ride south by the Atlantic Coast or join a half-day mountain bike tour by Sintra or Arrábida Sierra, in the outskirts of Lisbon. Choose from our different cycling holidays in Portugal, adapted to different kinds of riders. 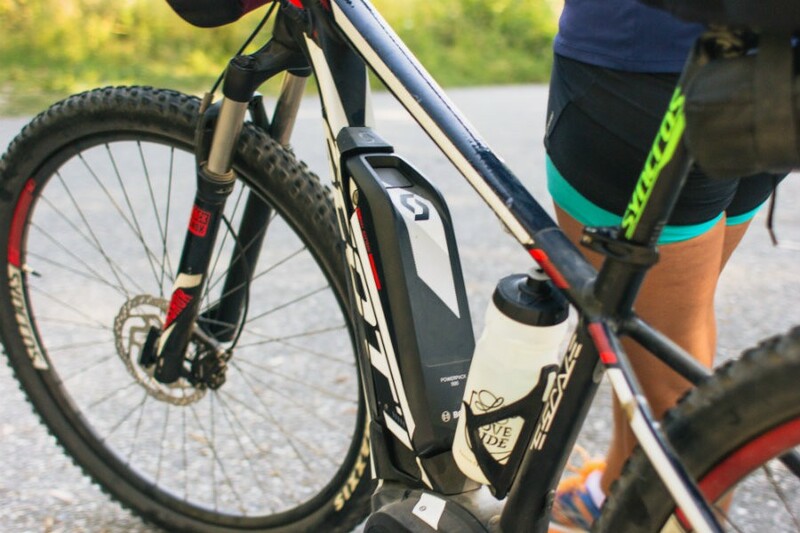 Assist your adventures with an E-bike and go places you've never been before! Join our electric bike tours in Portugal, enjoying your 500W battery, that'll keep you powered as you ride by one charming hotel to another on your cycling holidays in Portugal. We provide family or groups with specific bike touring experiences, fit for all kinds of riders. Choose from our touring cycling holidays in Portugal for bike tours that are fit for all, in family oriented destinations. There are many easy ways to join one of our Portugal bike tours, whether by yourself, in a group or in a private ride. Join a guided group on any open date, or go on a self-guided cycling holidays anytime you want. Book any of these guided bike tours in Portugal on a date of your choice, making it a private cycling holiday. Be a part of the growing number of people who've been discovering the country on our Portugal bike tours! Amazing bike tour, amazing place, amazing staff. Well planed and adapted to my wife I riding skills. These guys really new were to take us to really taste the local food and meet really nice locals too. We specially loved the coast region with its wild beaches and seafood... It makes you feel like an explorer. Already planning our next Portugal bike tour! We chose to go on a bike tour in Sintra, as we were hoping to get to know more about the area surrounding Lisbon. And so we did - we went for a mountain biking tour in Sintra with Live Love Ride. We loved the area - the luscious forest, the trails -some of which we very technical. And, of course, the city center and the Roca cape. Sintra was such a blast, that we decided to go cycling with Ricardo and Vítor the next day to Arrábida! The landscape was competely different, but the views from the top are completely worth it. descending to Portinho da Arrábida is just a blast, reminded us of Italy... These bike tours were unexpectedly fun, we're used to city bike tours - highly reccomended! I joined these guys for a few days riding. My favourite area was the Douro region which is just stunning. They are hot on attention to detail and customer care and went the extra mile to ensure that my trip was nothing short of fantastic. Highly recommended. Fantastic routes, scenary and Portuguese food! Happy memories by the lot of us - we're returning to explore more of the country next year. P.S. Can't rate the guide more highly too. This was one of the best experiences I have ever had as a cyclist, the views were simply breathtaking and the course set was challenging without being impossible. In term of services, everything was perfect. The food, the accomodation, transportation and the guide were all top quality, never leaving me wanting anything, and always responding positively to my requests. I highly recomend this tour to all riders who enjoy road cycling. We joined the Live Love Ride crew on the Serra da Estrela Sportive last july. We knew it would be tough... and it was! But it was much more than that. It was beautiful and quiet and had an amazing feel to it. The descent towards Manteigas, the climb to the Torre by Seia were my favourite sections. The event was packed, we were very well supported - we chose the Mediofondo - and we loved the previous days to the event, just being able to ride from one village to another, seing the castles, having the most amazing meals... it was awesome - next year I'll be back for a bike tour in the Douro Granfondo, I've heard great things about the area. I had biked in Europe before, in the pirinées and I was afraid we wouldn't ride much in these tours... :) I really like to go for long rides, with 80 or more kilometers and I wanted to ride! In the group there were riders with different experience levels, but the routes were chosen so that we could all enjoy them! I loved it! The climbs in the Douro are incredible, the roads are in great condition and the Scott Addict is light and super nice. The descent to Barca D'Alva was incredible and the road to Freixo à Cinta was great too... ewvery day we road a lot and everyday I arrived tired and happy to the hotel... ready to enjoy some nice wine and the poolside. This was great and I reccomend to anyone who enjoys cycling holidays! We went in September on a bike tour from Porto to Santiago de Compostela! This was a path we had been preparing for a long time, because we've always been atracted to this idea of walking to Santiago. And it was even better than what we expected, because the north of Portugal surprised us a lot! The city of Porto is wonderfull and charming and Ponte de Lima is beautifuk! We climbed the Labruja with some difficulty, but the view from the top is incredible and very peaceful... We crossed paths with a lot of pilgrims, some of them from Brasil and all of them with unique stories. Some by foot, others by bike, but all had their reasons. For us, it was very touching and that will last forever. Recomended for all! We went on a self-guided bike tour in Costa Alentejana. We loved the scenery and the weather. The coastline is untouched and preserved, with small villages by the sea. We ate fresh fish everyday at simple restaurants, enjoying the surroundings. Loved the hidden beach of Carvalhal, it was my favourite one. Very easy to cycle, quick transfer back from Sagres to Lisbon, great Portugal Bike Tours! I thought I knew Portugal! I came to the Douro region of Northern Portugal for work and knew their must be some great climbs amongst all the grapevines. I was jonesing to get on a bike, and so I got in touch with Pedro from Live Love Ride Portugal. He quickly got me set up with a very nice Scott road bike (carbon frame), helmet, water bottle, and cell phone (he offered a GPS but I'm not good with those) and a couple suggested routes. I did two great loops, both starting and ending in Pinhao, and if I would have had more time, he had more ideas for me. I will definitely be back in Portugal, and I will definitely contact Live Love Ride to help me with equipment and routes. Ricardo and Victor took us to the pitoresque Sintra city center and up to Cabo da Roca. Stunning views, surprising architecture and a beautiful forest were complemented by some fun mountain bike trails. "Really enjoyed the bike riding in Alentejo. Cycling by the fields of "Sobreiros" and witnessing the lifestyle of that region was what striked me the most - so peacefull and quiet. Évora and Monsaraz are just great to visit.The guides were amazing and made it very smooth. Really enjoyed their surprise wine tasting by the Herdade!" Riding by the Douro river was a challenge for us, but thanks to the guides and the routes, we were able to experience it's beauty. We were amazed by the farms and the visits to the wineries. The views from São Salvador do Mundo were amazing. Lots of riding in the morning and great meals and wine tastings in the afternoon and night - that's what cycling holidays are all about! We simply couldn't join one of the groups, so we contacted Ricardo and he designed a private Portugal bike tour for us that was just brilliant! He took me and my husband to the most amazing places in the Alentejo and then in the Douro too. The guides are very detail oriented, and made sure we had a flawless trip. Highly recommended. Will definitely return! "I came to the Douro region of Northern Portugal for work and knew their must be some great climbs amongst all the grapevines. I was jonesing to get on a bike, and so I got in touch with Pedro from Live Love Ride Portugal. He quickly got me set up with a very nice Scott road bike (carbon frame), helmet, water bottle, and cell phone (he offered a GPS but I'm not good with those) and a couple suggested routes. I did two great loops, both starting and ending in Pinhao, and if I would have had more time, he had more ideas for me. I will definitely be back in Portugal, and I will definitely contact Live Love Ride to help me with equipment and routes." We planted 200 endogenous trees in Portugal, one per each guest in our bike tours, with Portuguese NGO "Plantar Uma Árvore". New group bike tours for Spring 2019! Are you looking to join a group bike tour next Spring? See from our available dates below and join a group on your next cycling holidays in Portugal - take advantage of our early bird discounts! We are here to help you design your perfect Portugal bike tour, according to your needs.